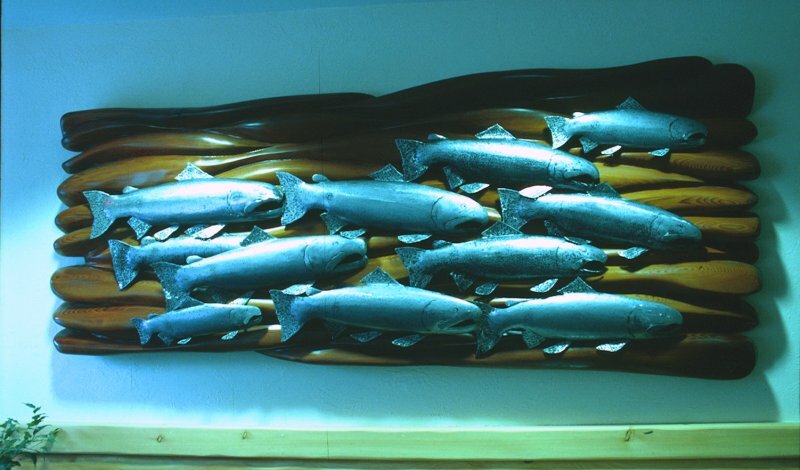 The Pacific Northwest is well known throughout the United States for its abundance of salmon. The fish depicted in this hand-hammered metal wall hanging signify the region. 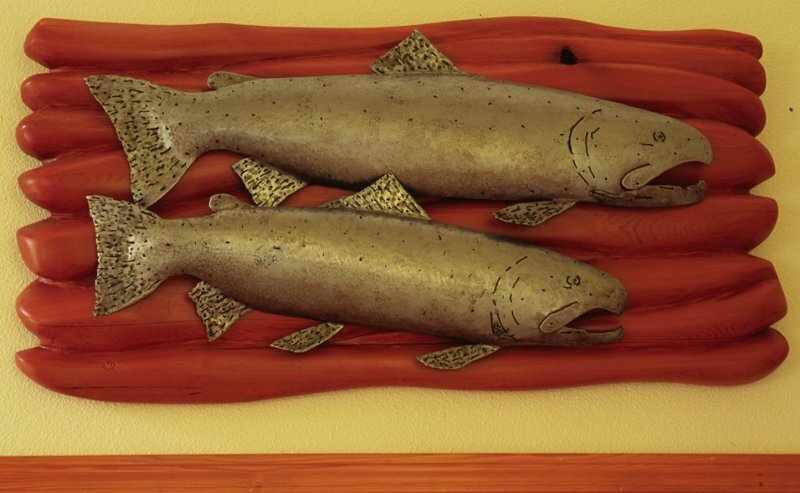 Three steel salmon on painted wood background. 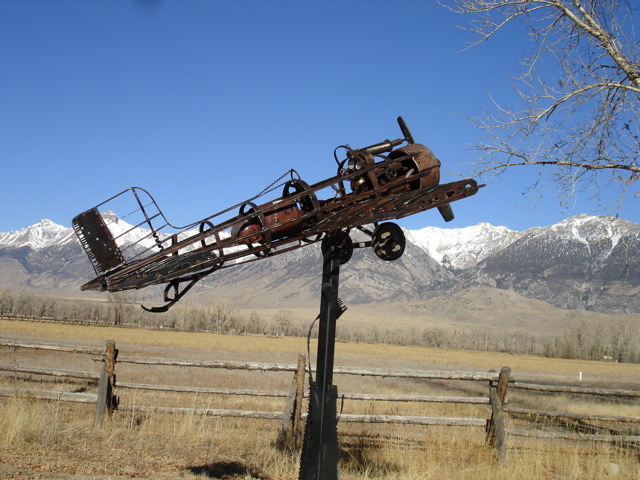 Metal and wood combines two art media. The wood background gives warmth which accentuates the beauty of the metal sculpting. 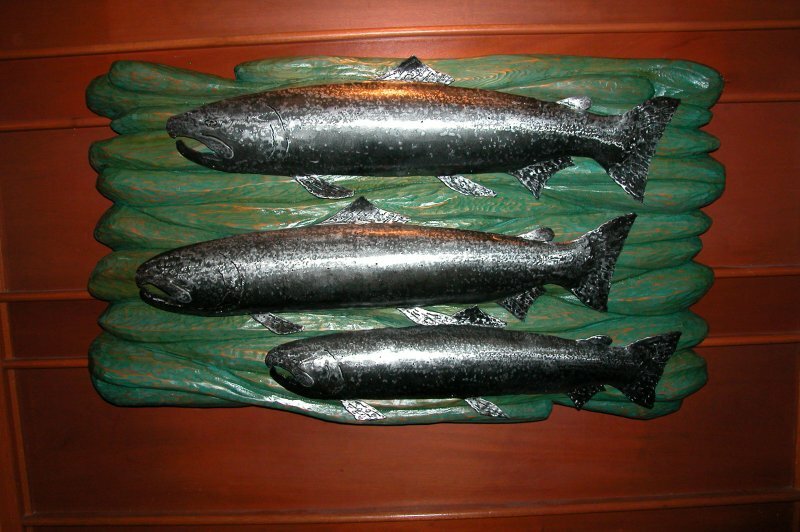 These three works again reflect the native aspect of fish in the Pacific Northwest. The lower image is of a whale in a Native American Tradition.